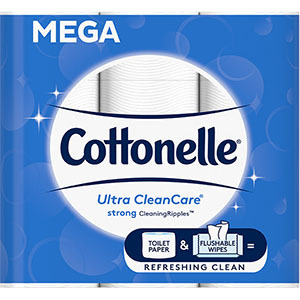 Cottonelle® GentlePlus® Flushable Wipes are made with 95% pure water and enriched with Aloe & Vitamin E to deliver a gentle clean for sensitive skin. 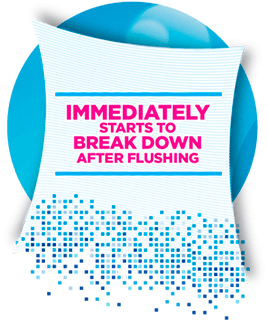 They are designed with CleaningRipples™ Texture and the cleansing power of water for a truly Superior Clean†. 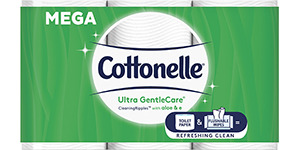 Additionally, they’re hypoallergenic, chlorine-free and paraben-free. 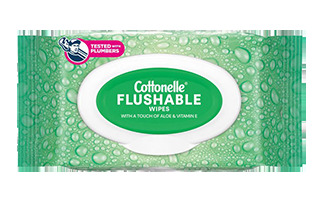 GentlePlus® Flushable Wipes are designed for toilets and tested with plumbers, so you can rest assured they are sewer and septic safe, and immediately start to break down after flushing. Additionally, they’re plastic-free and made of fibers that are 100% biodegradable.